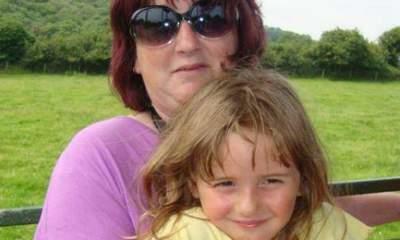 April Jones' mother has described in heartbreaking terms the guilt she feels over her daughter's abduction and death. Coral Jones' impact statement was read out after Mark Bridger was convicted of the five-year-old's abduction and murder. Prosecutor Elwen Evans read the words on Mrs Jones' behalf shortly before Bridger was told he will spend the rest of his life in jail. Mrs Jones said: "April fought to come into the world, she fought to stay in this world and he has taken her not only from us but from everyone who loved her." The statement recalled that April was born prematurely, weighing only 4lb and 2ozs, and was in intensive care for two weeks. Her mother said: "She has always been a little fighter, and we later found out that she had a hole in her heart and a heart murmur. "When she was around three years old we noticed that she was becoming clumsy, so after numerous visits to the doctors, they finally diagnosed April with cerebral palsy down her left side from her hip to her leg. "We would have to massage her legs and get her to do exercises because she would have pain in her legs constantly. "She very rarely moaned about the pain and would always be on the go wanting to go and play out with her friends. "April ruled our lives. She was the youngest and because of her various disabilities we would have to provide some kind of care for her all the time." Mrs Jones continued: "Paul (April's father) would get her ready for school and then I would be there when she came home. I still cannot go into her bedroom to sort out her clothes because the pain of her not being there is indescribable." She said she had to watch her other children "grieve for the loss of their little sister who they would carry upstairs because sometimes she was in too much pain to walk". "I have to see people who I have known for years cross the road to avoid me because they do not know what to say to me. "At Christmas I tried to make it as normal as possible for the other children, but would find myself breaking down in tears when I would be in a shop and I would see April's favourite 'little kitty' things and anything pink, which was her favourite colour. "I broke my heart while writing Christmas cards and wondered whether I should put April's name on the cards. In the end I decided just to put a pink bow instead of April's name as a symbol of hope for our lovely girl. "I will never forget the night of October 12, 2012. This was the night we allowed our daughter April to go out to play with friends, something she has done hundreds of times before, and this is the night that she never came home. "Since that night, the estate is quiet, as children are no longer allowed out to play as they used to. "As April's mother I will live with the guilt of letting her go out to play on the estate that night for the rest of my life. "She fought to come into the world, she fought to stay in this world, and he has taken her, not only from us, but from everyone who loved her. "I will never see her smile again or hear her stomping around upstairs and on to the landing. "We will never see her bring home her first boyfriend and Paul will never walk her down the aisle. "How will we ever get over it?"